These compressors use a piston driven by a crankshaft to compress refrigerants in a cylinder. These compressors have a fixed scroll and a moving orbital scroll that rotates trapping and compressing the refrigerant between the scrolls. This is increasingly used in modern residential equipment because it has fewer moving parts and smoother and quieter operation. 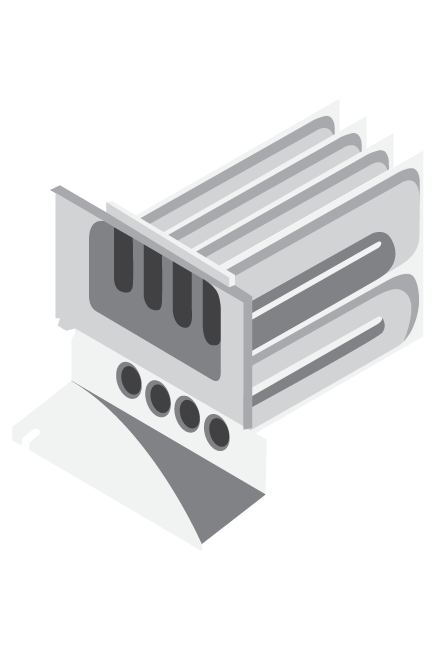 The indoor coil extracts heat from the airstream in cooling and from the refrigerant to the airstream during heat pump operations. The coil should be matched to the outdoor unit to optimize efficiency. Coils are commonly copper tube aluminum fins. Thermostatic Expansion Valve (TEV or TXV) is used for refrigerant flow control and operates at varying pressures resulting from varying temperatures. This valve maintains constant superheat in the evaporator. Thermal expansion valve has a sensing bulb, which is connected to TXV by a length of capillary tubing. The capillary tube transmits sensing bulb pressures to the top of the TXV valve’s diaphragm. Electronic Expansion Valve. (EEV) These metering devices are used in the newer VRV (Variable Refrigerant Volume) and VRF (Variable Refrigerant Flow). These are used in air conditioner and heat pump systems that have inverter duty compressors that modulate. They are only in the higher end models with high efficiency. 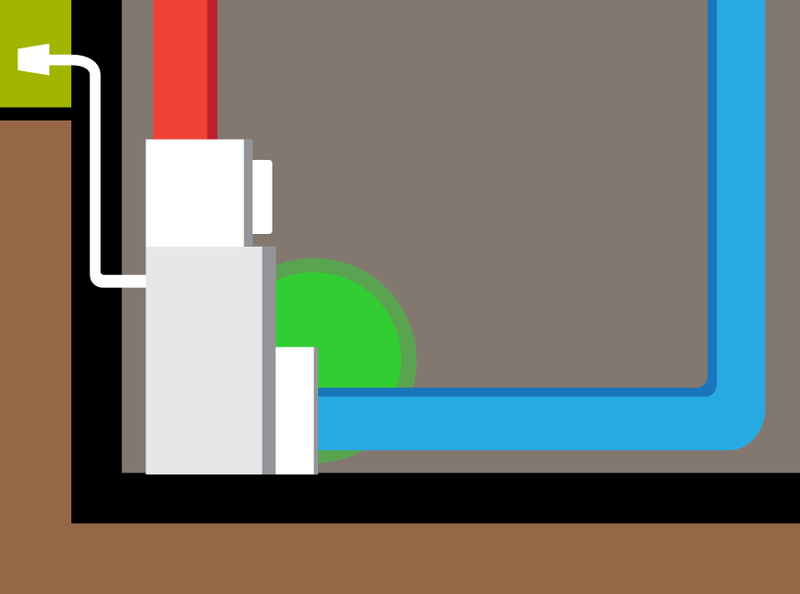 Capillary Tube: The capillary tube can be described as a fixed length of small bore tubing connecting the high pressure side (condenser) of a refrigeration system to the low pressure side (evaporator).Capillary tube works by restricting and metering the liquid flow, the capillary tube can maintain the required pressure differential between the condenser and the evaporator. Because of friction and acceleration, the pressure drops as the liquid flows through the tube. Actuator Orifice - The fixed orifice is simple and can be either a piston type or utilize a distributor. The distributor feeds capillary tubes which terminate in the evaporator coil. The piston type comes in various sizes and is interchangeable with the capacity or tonnage of the condensing unit. A type of valve and is a component in a heat pump, that changes the direction of refrigerant flow. By reversing the flow of refrigerant, the heat pump refrigeration cycle is changed from cooling to heating or vice versa. PSC single-speed motor technology has been the standard in the industry for many years and represents the highest installed base. PSC motors are typically positioned by most manufacturers as a standard product offering and are used in furnaces, air handlers, condensing units and packaged products. The popularity of the PSC motor can be attributed to its simplicity, reliability, low cost and flexibility. PSC motors generate excessive heat which greatly contributes to the relatively low operational efficiency of PSC motors (which are at best only 60% efficient). Most manufacturers typically position constant torque motors as a mid-tier product offering and use the motors in furnaces, air handlers and packaged products. The popularity of the constant torque motor can be attributed to its performance and cost. Constant torque motors are high-efficiency, brushless DC motors that are controlled by 24v signals. When compared to similarly sized PSC motors, constant torque motors reduce power consumption because of its 80% efficiency. ECM 2.3 variable-speed motor technology can be compared to using a dimmer switch in lighting applications, meaning it is highly variable, making its precise performance ideal for a variety of advanced applications. Most manufacturers typically position an ECM 2.3 motor as a premium product offering and use the motors in furnaces, air handlers, condensing units and packaged products. ECM technology is based on a direct current (DC) design that is inherently more efficient (80%) and run cooler than alternating current PSC motor designs. ECM 2.3 variable-speed motors can run over a wide range of speeds. Whole house humidifiers are typically installed between the hot air duct and the cold air return of a furnace where hot air is diverted into the humidifier where it can absorb water vapor and distribute it to the living space. Humidity control helps improve comfort and reduce the impacts of dry winter air on clothing and furnishings. These humidifiers draw warm air from the home’s heat ducts and pass it through a water panel. Bypass humidifiers can be installed on either the Supply or Return plenum of a forced air handling system. For those who don’t have a floor drain, there is a Drainless Bypass Humidifier available. These drainless styles recirculate their own water, minimizing water usage. These humidifiers include a fan that blows air across the internal pad (water panel) for increased water evaporation. 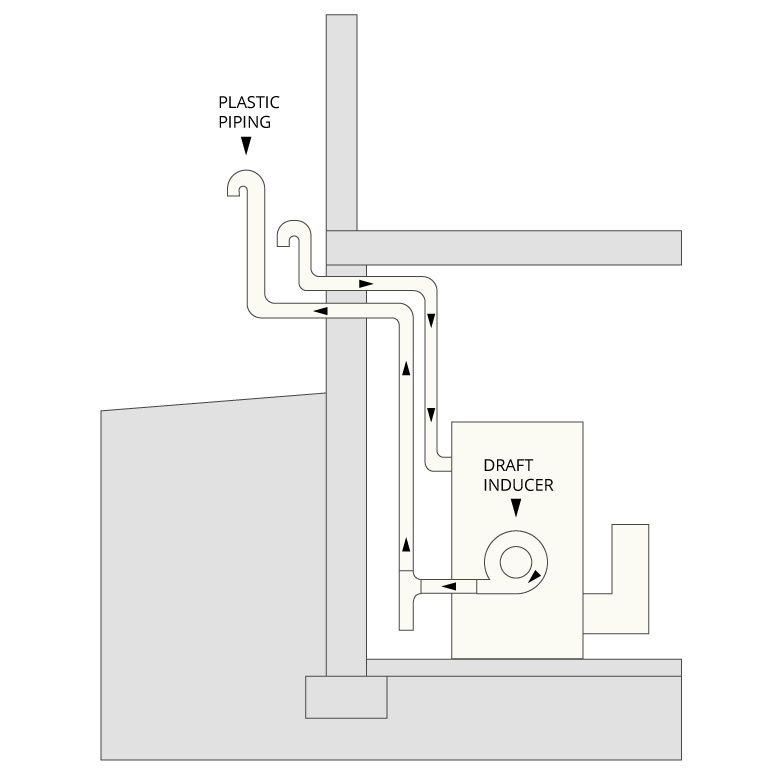 Powered flow-through systems don’t require a bypass duct, therefore they can be installed in smaller spaces. These humidifiers draw warm air from the home’s heat ducts and pass it through a rotating evaporator pad. Drum humidifiers can be installed on either the Supply or Return plenum of a forced air handling system and deliver high moisture outputs than flow-through types. General uses less water than flow through types but requires more maintenance. These humidifiers add humidity to the air by heating water electrically until it boils to create humidity in the form of steam even if the furnace isn’t on. Steam humidifiers offer the fastest and most efficient method of increasing and maintaining the appropriate and comfortable level of humidity in your home. Additionally, steam whole house humidifiers deliver a pure and best natural form of humidity that’s introduced through your entire home. Steam humidifiers will run moisture as needed, regardless your current heating or air conditioning situation. MERV Rating: (Maximum Efficiency Reporting Value) is the standard that rates the effectiveness of air filters. On a scale of 1 - 20, higher MERV ratings equate to finer filtration. An important point is that high MERV rated filters often have more resistant to airflow and can result in lower system airflows and poorer heating or cooling efficiencies. Typically 1” and are standard on most new furnaces. Removes larger particles. 1 - 4” made from cotton paper or polyester. Can remove large material along with some spores and mites. Require frequent replacement as they become clogged relatively quickly. contains self charging electrostatic cotton or paper fibers that attract small particles. Can remove smaller particles, spores, and mold. There is no standard for the performance of electronic air filters. Electronic air cleaners can be highly effective in removing contaminants from your home's air, which can help relieve symptoms of allergies, asthma and other respiratory illnesses. 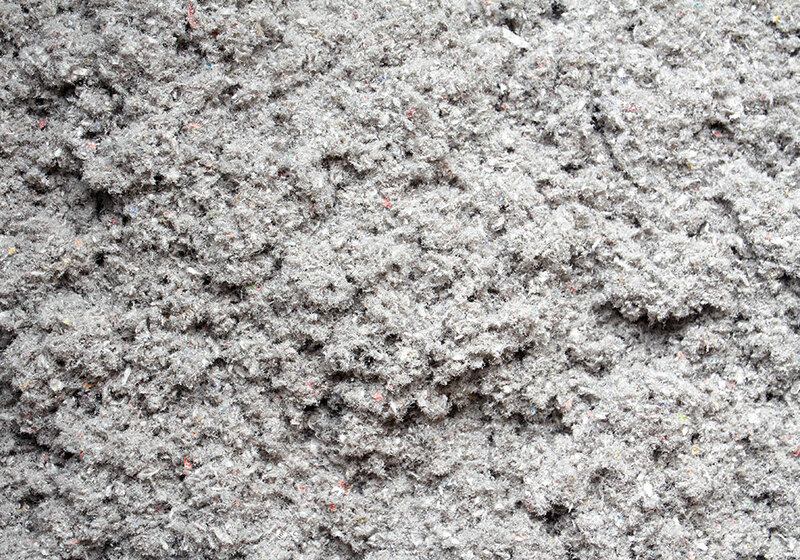 A pre-filter should be used to reduce large material like dust, lint, and hair. Natural Vent: Due to the relatively low efficiency of chimney vented furnaces, there is sufficiency temperature in the flue gases to allow them to rise up and out a natural draft chimney. 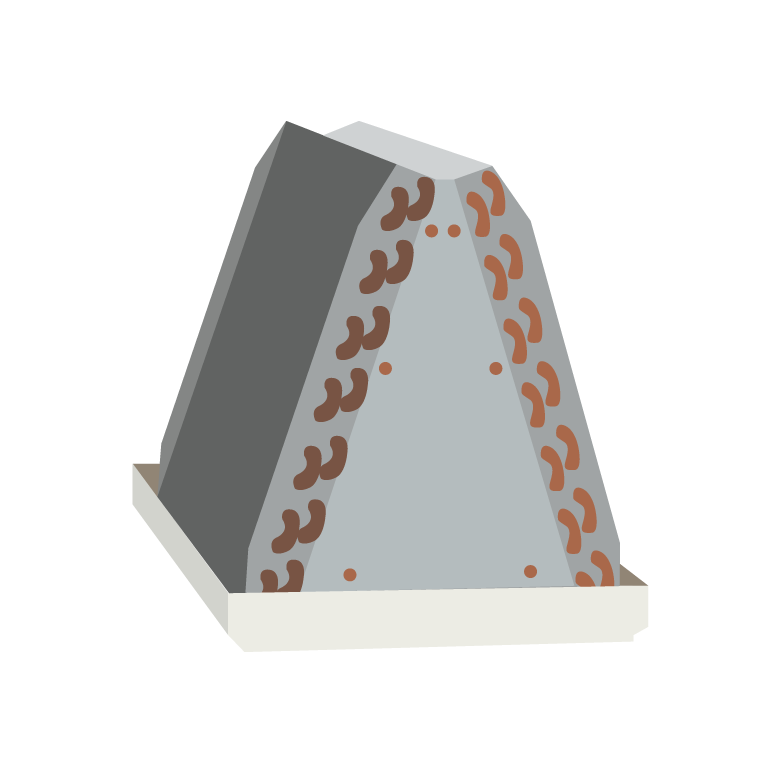 B-Vent or masonry chimney vent with vertical termination through the roof. 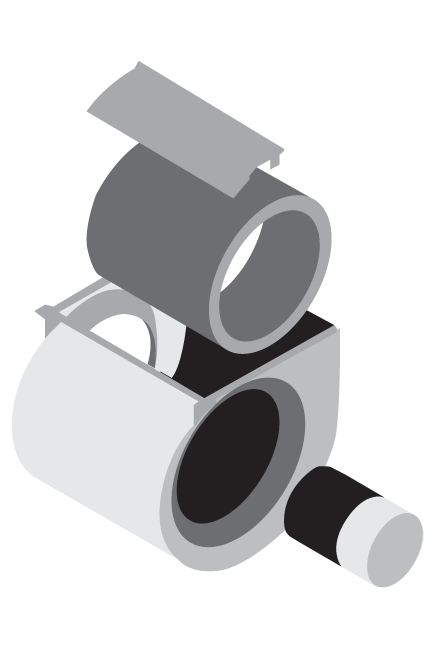 Direct Vent: This piping system incorporates two pipes of different sizes in one unit. The outer pipe draws air for combustion from outside, and the smaller pipe occupies the inner position and is used to vent the exhaust fumes. Piping can be set horizontally to allow venting through a sidewall, or vertical installation can also be undertaken to allow venting through the roof. Sidewall Power Vent: A fan works in conjunction with the furnace, usually turning on before the furnace starts. Sidewall vent systems are especially great for replacing old chimneys, and it is one of the more affordable options to consider when installing a venting system for your gas furnace. 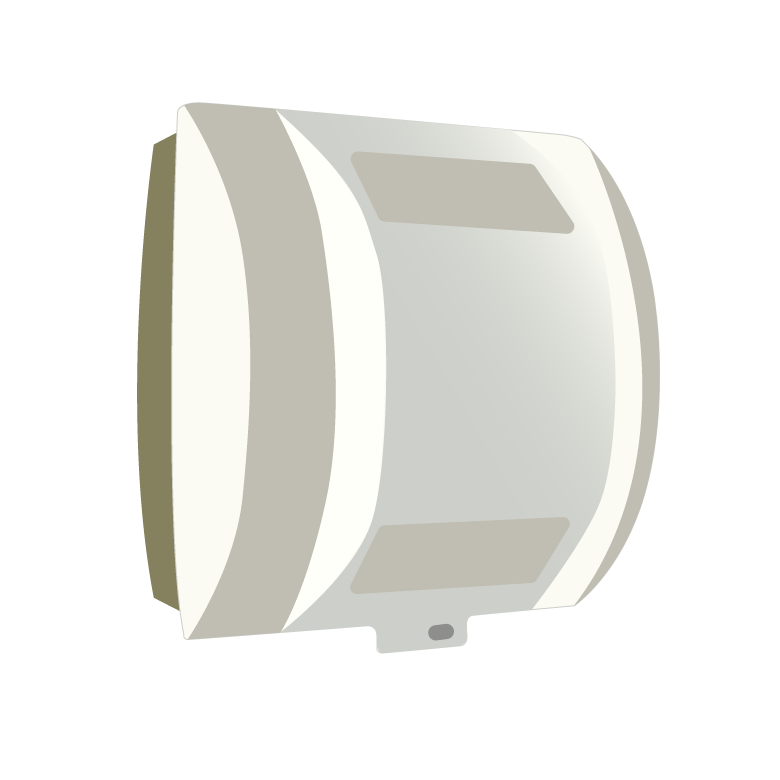 Plastic Vent: PVC, ABS or other non-metallic venting terminating either out the side wall or through the roof. 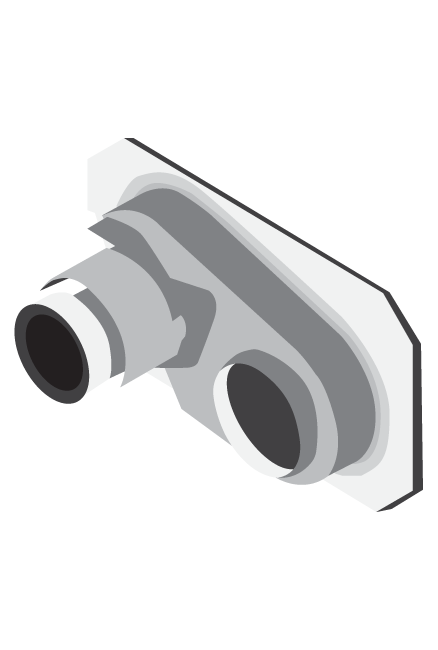 Direct Vent: Single vent pipe for combustion products with combustion air provided from inside the conditioned space. Sealed Combustion: Two pipe system providing combustion air from outdoor and venting flue product back outside. 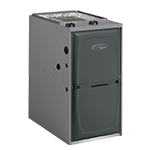 Furnaces are typically sized to meet the maximum heating load of the home. Two stage or modulating furnaces will vary its capacity and reduce the fan speed accordingly to avoid rapidly overheating the space and short operation cycles during moderate operating conditions. A secondary advantage to staged or modulating systems is that furnace fans will operate longer in each cycle and provide more even air temperatures in the home. Single-stage furnace with blower motor operating at a single speed, generally 90% to 92% AFUE. Step modulating furnace with variable-speed (electronically commutated permanent magnet (ECM) or multitap permanent split capacitance) blower motor, can range from 96% to 98% AFUE. Actuator Orifice- The fixed orifice is simple and can be either a piston type or utilize a distributor. The distributor feeds capillary tubes which terminate in the evaporator coil. The piston type comes in various sizes and is interchangeable with the capacity or tonnage of the condensing unit. 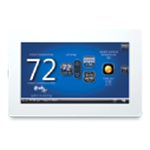 Integrated furnace controls are now a standard. The control incorporates a self-test feature which shuts down the furnace and displays a diagnostic fault code in the event of any one of a number of possible sensed faults. 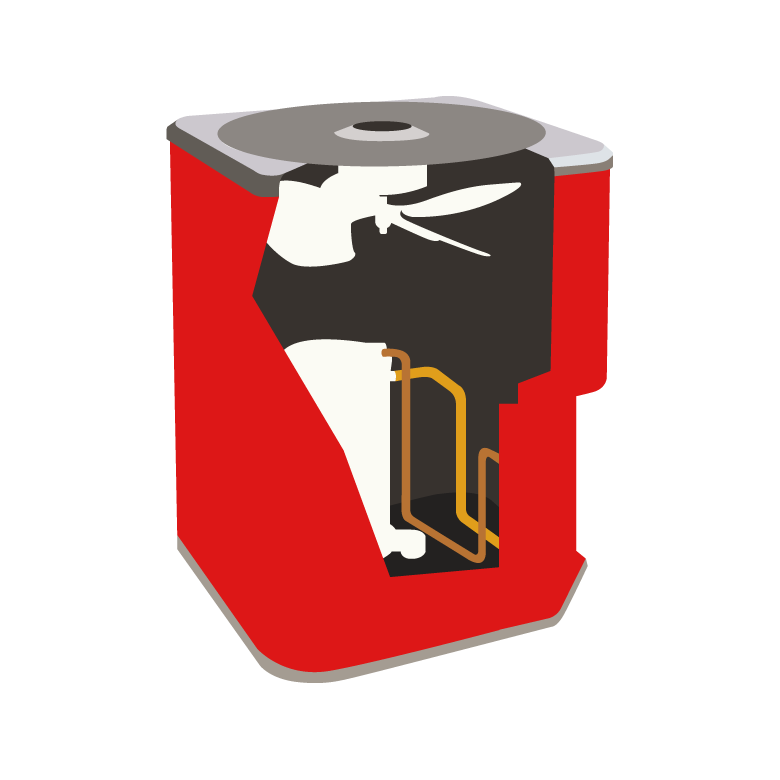 Self-testing occurs automatically before an attempt at ignition and during furnace operation. The self-test may also be initiated manually at any time the furnace is not operating. The control accepts digital information on daily temperature setback, weekend temperature setback and vacation setback in any one of several preset schedules and preset setback increments. 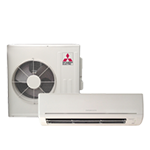 The primary benefits of ductless mini splits are their small size and flexibility for zoning or heating and cooling individual rooms. Many models can have as many as four indoor air handling units (for four zones or rooms) connected to one outdoor unit. 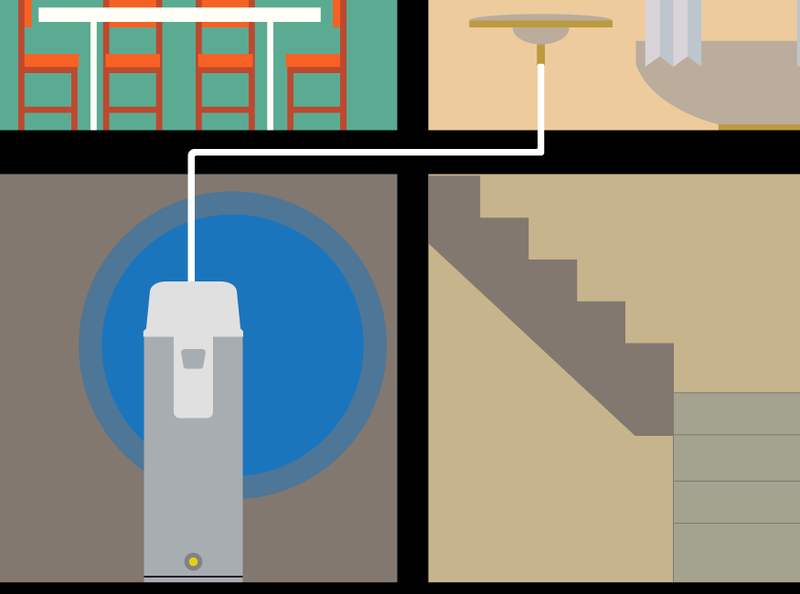 Each of the zones will have its own thermostat, so you only need to condition that space when it is occupied, saving energy and money. Mini-splits are easier to install than conventional ducted systems. 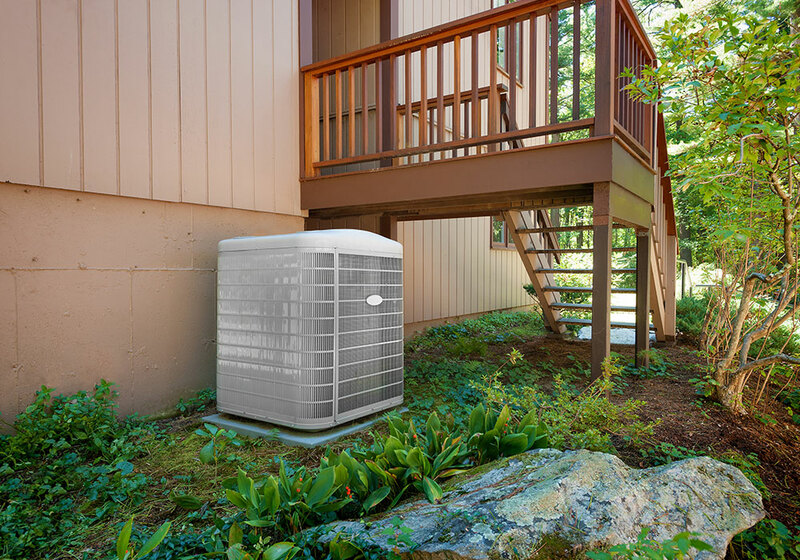 The connection between indoor and outdoor units is a small refrigerant line set and control wiring. 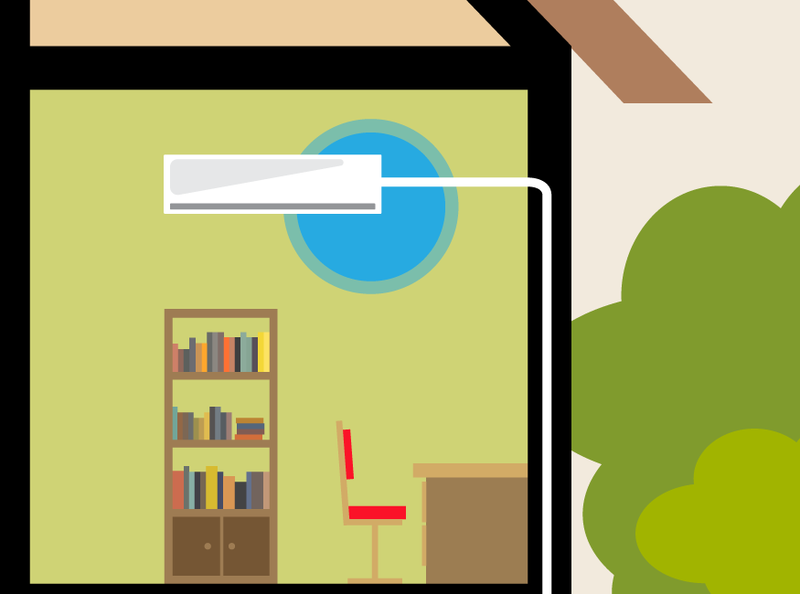 Ductless systems also can save as much as 30% on operating costs. 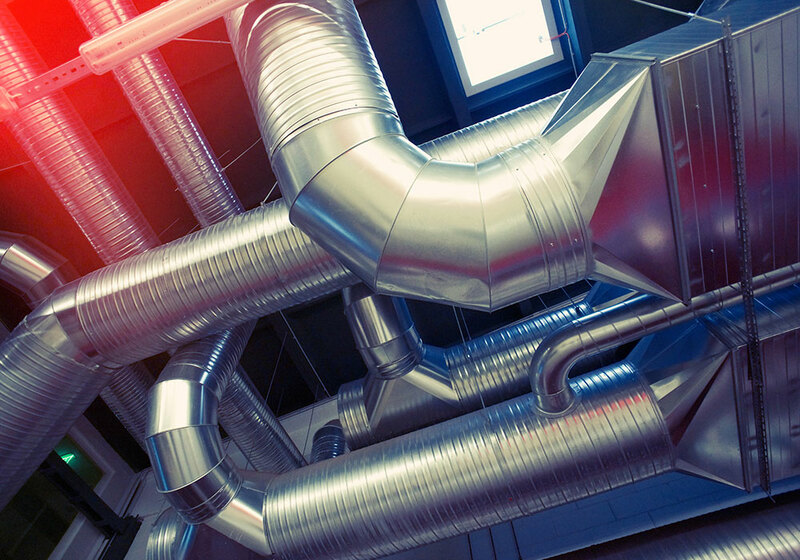 With a zoned system you are only heating or cooling the zones you need, and they operate without the ductwork that can add significantly to operating costs in a conventional system. Better humidity control in air conditioning mode. Many systems operate excellent heating performance even at lower outdoor temperatures. is also generally a variable speed ECM motor. ECM motors are more efficient than conventional ECM motors, and are also quieter and more flexible in their operating parameters. in cooling mode this coil exchanges heat collected indoors to the outdoor air. In heating, this coil collects heat available in outdoor air to be used for winter space heating. In cooling mode the outdoor coil is the condenser coil that dissipates heat, and the indoor coil(s) are evaporator(s) the collect heat. 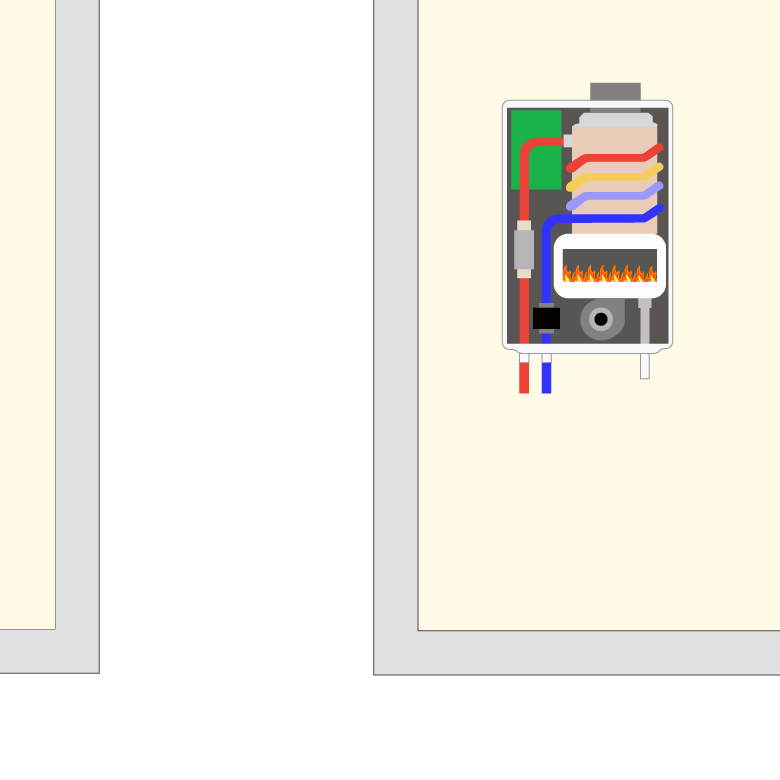 In heating mode the reversing valve reverses the refrigerant flow and the outdoor coil become the evaporator and the indoor coil(s) are now evaporator(s). Variable airflow directions provide 150° of lateral airflow for greater conditioned air circulation. indoor units use a sophisticated multi-part filtration system to reduce contaminants such as allergens, viruses and bacteria from the air. 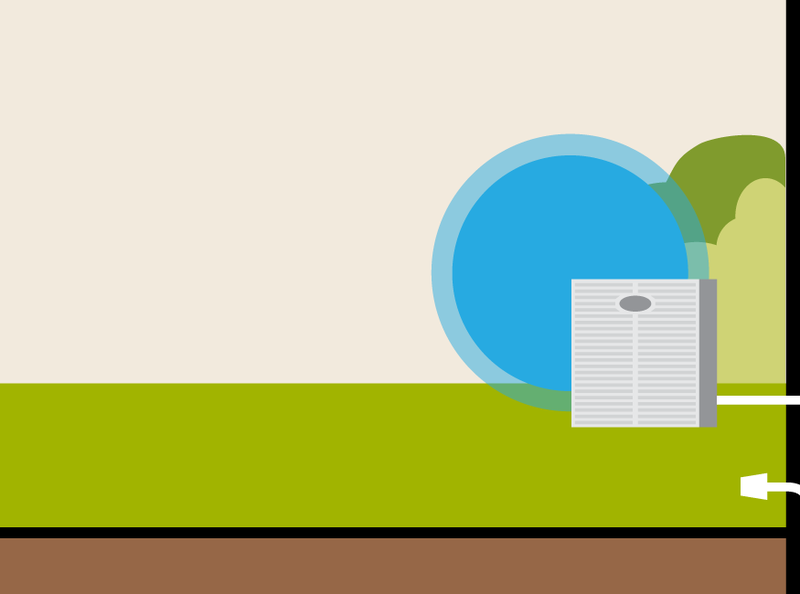 This combination of filters provides a healthier, breathing environment for the home. High efficiency variable speed ECM motor matches output to a minute-to-minute load with very quiet operation. All indoor models feature a return air sensor that constantly monitors and maintains room temperature. 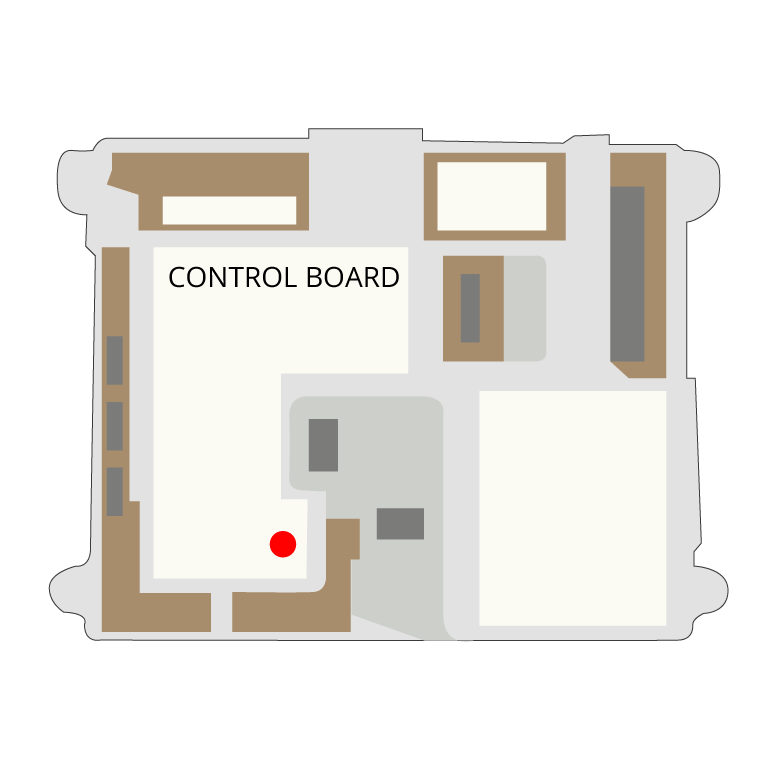 A variety of hand held, wall mount or app based full feature controls. Conventional “Tank” Storage Water Heaters: are the most common type of residential water heaters. Thy offer a ready reservoir of 20-80 gallons of hot water that is maintained around the clock. When hot water is needed it is simply drawn from available storage. 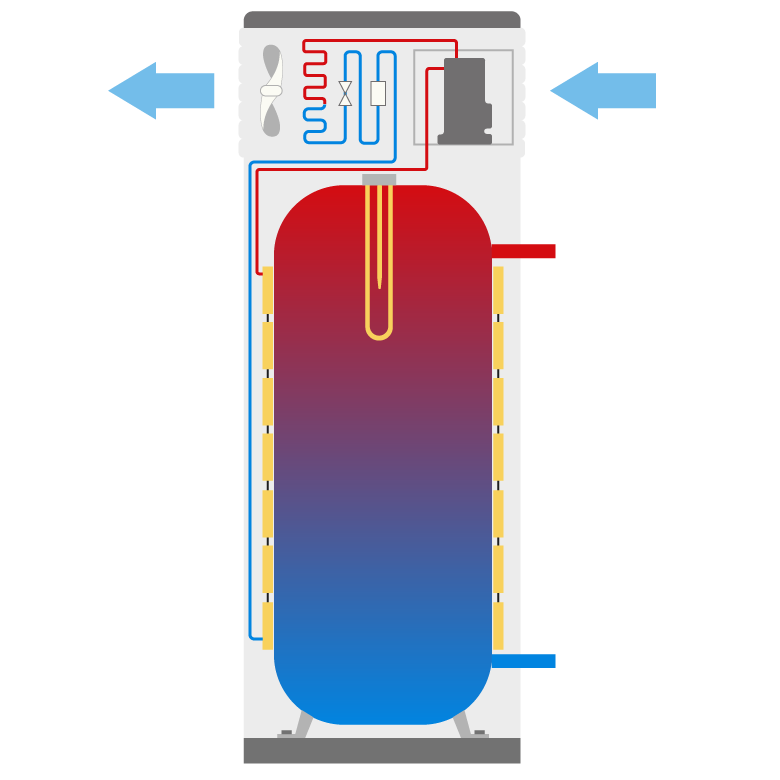 Tank water heaters are usually the least expense heater to purchase, but they would likely be the most expensive to own in terms of operating cost, or life cycle cost, much represent the full cost of ownership including first cost, operating cost, maintenance, and equipment life expectancy. Tank water heaters are available in electric. Natural or LP gas, or oil models. 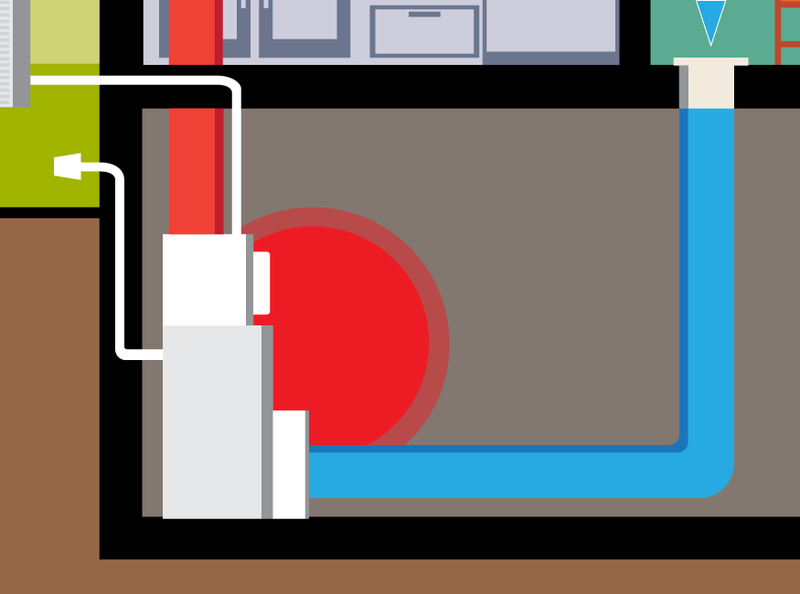 Tankless Water Heaters: provide hot water only as needed. They don’t produce the standby energy losses that tanks do. When a hot water tap is turned on, water travels through the unit and is heated almost instantly by either electric, or natural or lp gas. 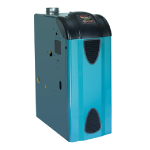 Up to the maximum capacity of the unit, a tankless water heater provides unlimited hot water and is not limited as tanks are by the limited quantity of stored gallons available. 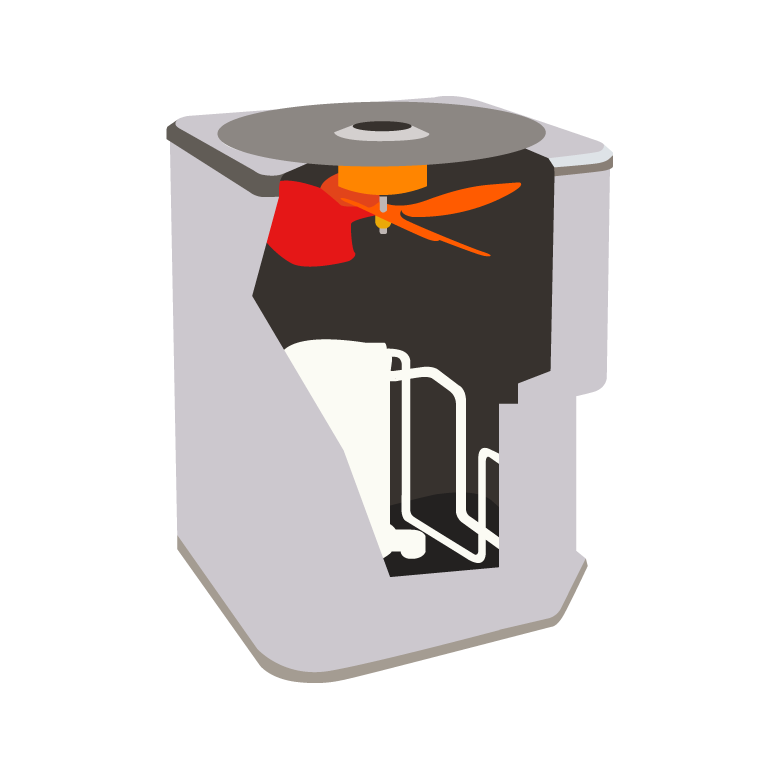 Typically tankless heaters are limited to 2 - 8 gallon per minute of flow. 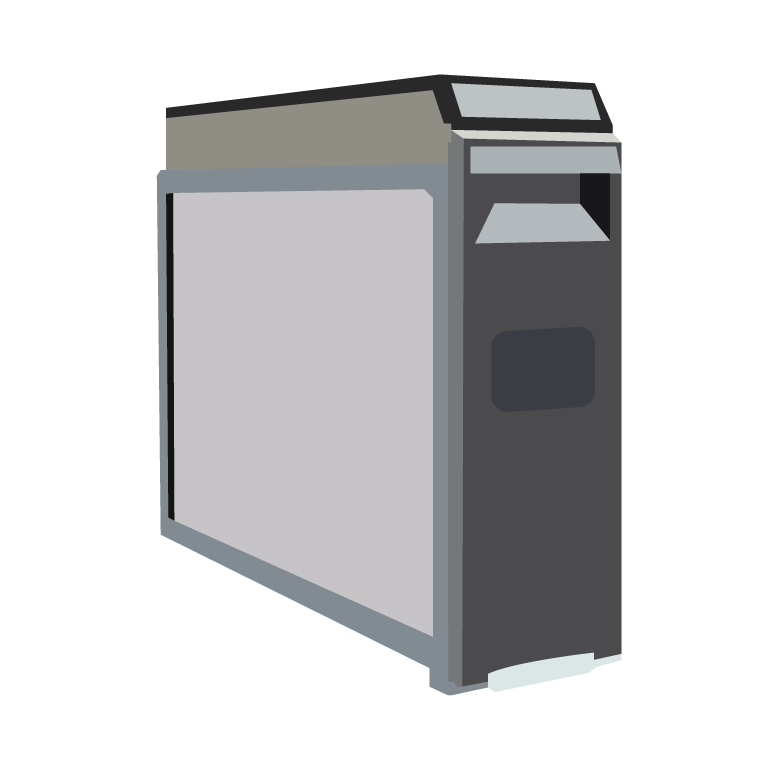 Tankless units can be 10 - 34% more efficient than a tank for a given fuel source. 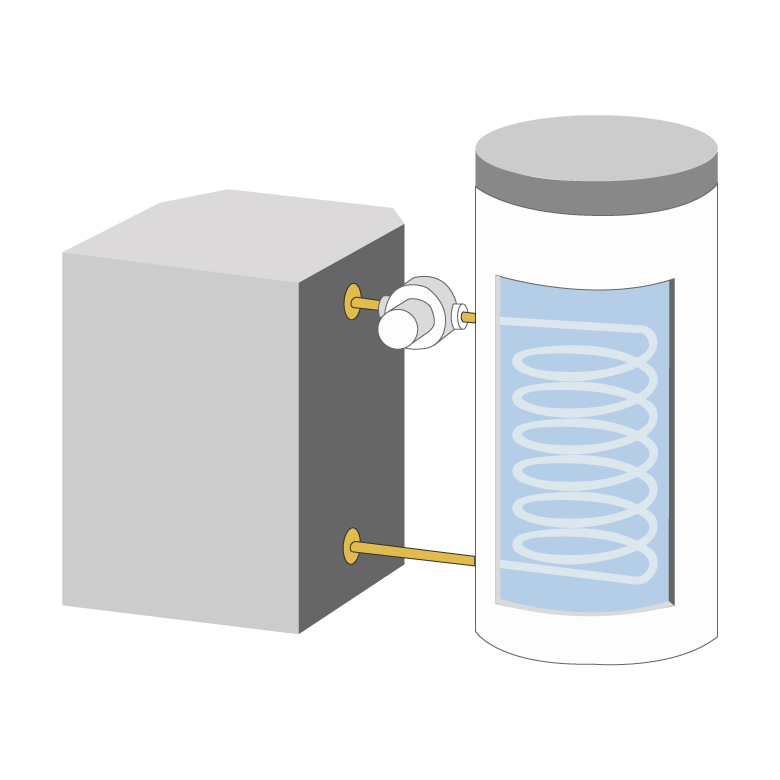 Heat Pump Water Heaters (HPWH): HPWH’s use electricity to transport heat from the mechanical space they are into water stored within the unit. 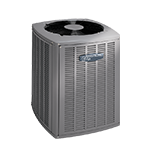 Heat pump water heaters must be installed in locations that maintain temperatures between 40° and 90°F and must have at least 1,000 cubic feet or airspace around the heater. 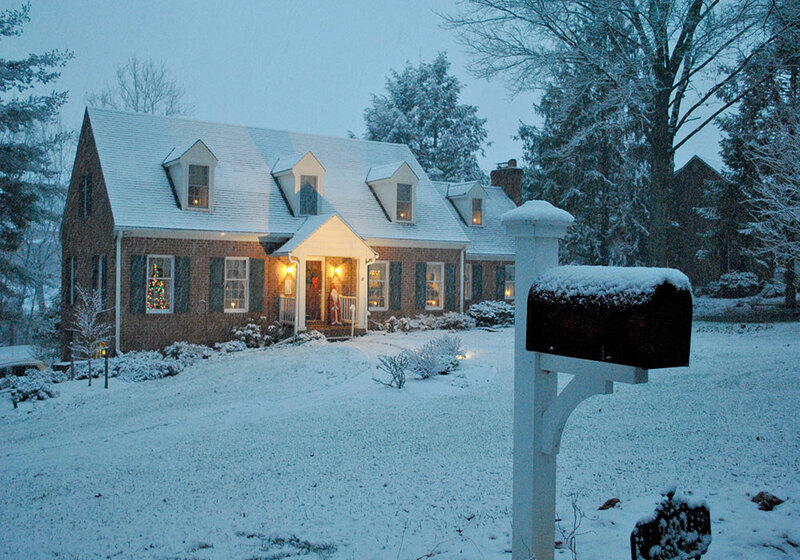 Optimally HPWH’s should be installed in areas with surplus heat like a furnace home. They will cool the space in-which there are located to some degree. Properly installed HPWH’s can be twice as efficient as conventional electric water heaters. 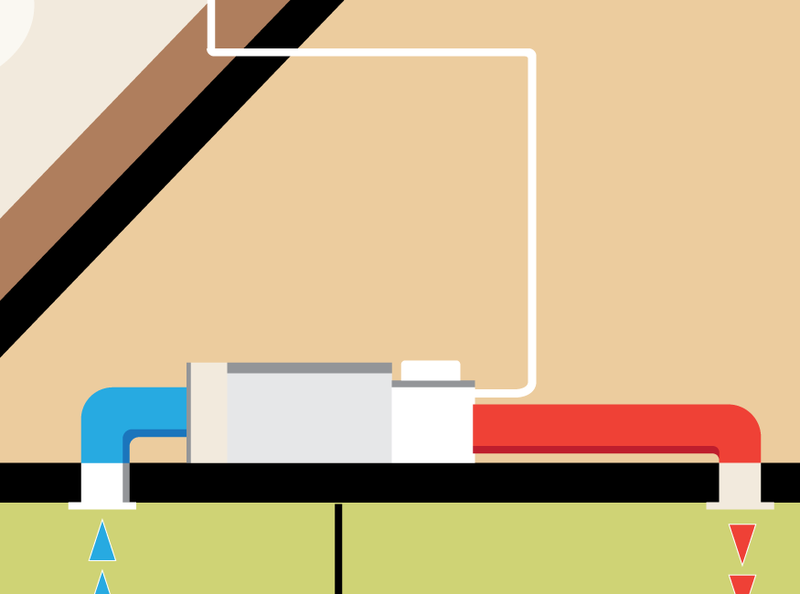 Indirect water heaters: are used in conjunction with a boiler that provides space heating. They generally cost more to install than a stand-alone water heater, but operating and maintenance cost may be less. 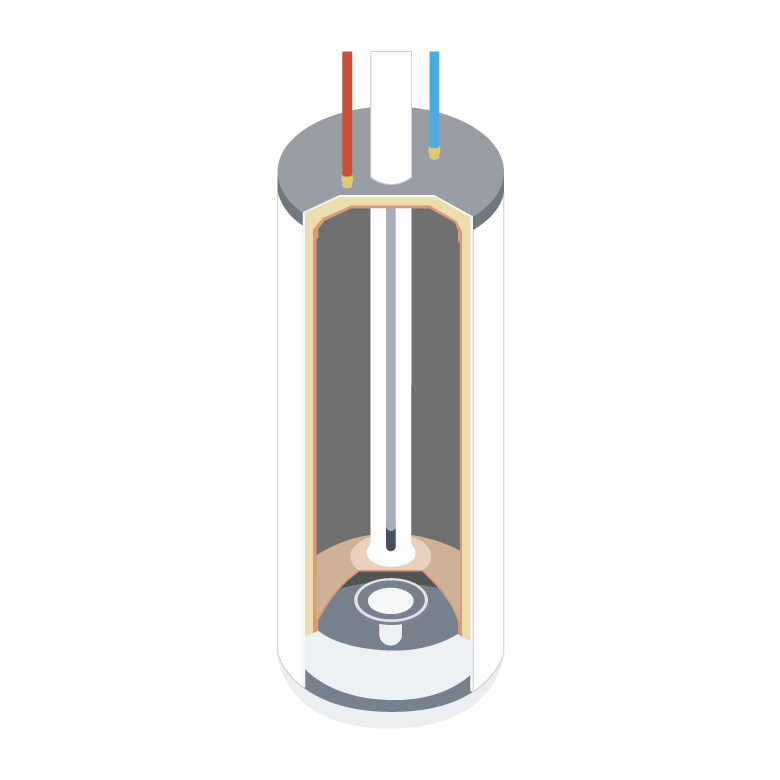 An indirect water heater uses the main furnace or boiler to heat a fluid that's circulated through a heat exchanger in the storage tank. 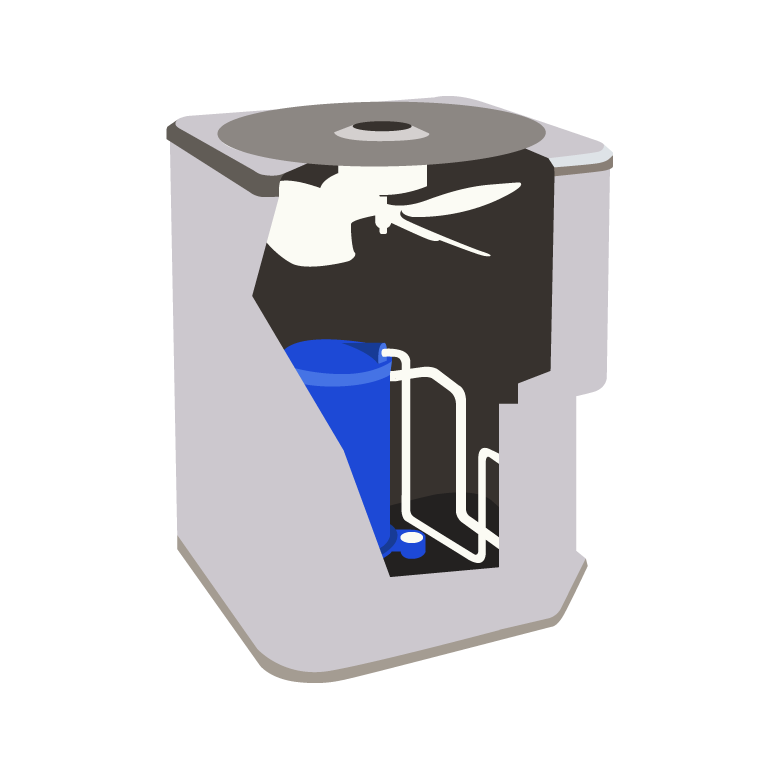 The energy stored by the water tank allows the furnace to turn off and on less often, which saves energy. An indirect water heater, if used with a high-efficiency boiler and well-insulated tank, can be the least expensive means of providing hot water, particularly if the heat source boiler is set to "cold start."